Spend your time at the beach having fun instead of adjusting your bathing suit top. Swimwear as streetwear is in. UV rays can penetrate your clothes. Keep skin protected at the beach with these stylish swimsuits. 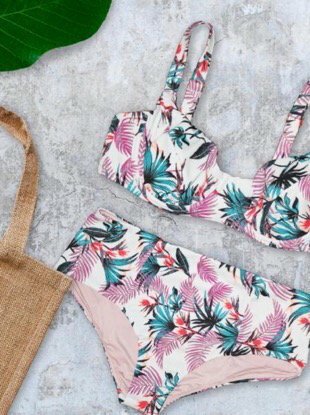 Here's how to wear your bikini tops on dry land (without looking like you got lost on the way to the beach). Ever wonder what our foresisters wore when they wanted to take a dip? Ready for summer? 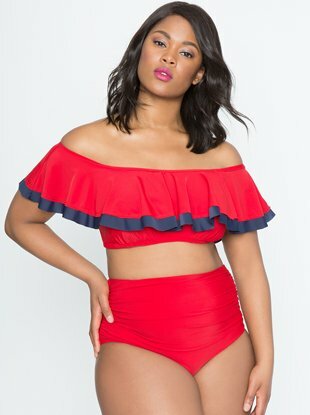 Dive in with these cute plus-size swimsuits for every shape and size. Just in time for summer (and weekend two of Coachella).